Health is the ability to realize our avowed and unavowed dreams. – Moshe Feldenkrais. In the Jewish calendar, we’re in the midst of the Days of Awe, a period of introspection that began with Rosh Hashanah, the New Year, and culminates with Yom Kippur, the holiest day of the year, also known as the Day of Atonement. Atonement is a loaded word. It suggests that sin has transpired and repentance is due, concepts that carry enormous baggage for many. In progressive synagogues, sin is often reframed as “missing the mark”. We’re encouraged to look with compassion at areas of our lives where we’ve let ourselves or others down and also at ways in which we can move closer to the mark. 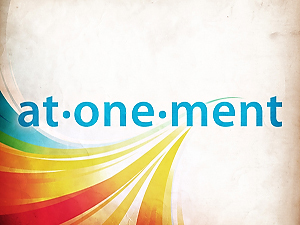 Atonement is often restated as the more easily digestible At-One-Ment: what does one need to either do, or not do, to feel more whole and connected to themselves, families and friends, communities and God? In the Jewish tradition, rather than making resolutions at the New Year, we unmake them, beginning the next turn around the sun with a clean slate. In the Kol Nidrei service at the start of Yom Kippur, congregants declare that all vows are “absolved, remitted, cancelled, declared null and void, not in force of in effect.” It’s a beautiful practice, yet it addresses primarily visible vows; in traditional Judaism, even verbal promises are considered moral obligations, not just written ones. But what about our unconscious, unverbalized vows? How do we make them conscious and either fulfill or release them? It’s possible to live, year after year, repeating self-defeating patterns and habits, or holding onto unhelpful, unarticulated vows, despite making effort after effort to honor one’s word or improve. It’s possible to live, season after season, without fulfilling what Moshe Feldenkrais calls one’s unavowed dreams. It’s a bit of paradox, to fulfill something of which we’re unaware, to bring to fruition an invisible seed. Many of us may not know the full scope of that image. We might see the front, but not the sides or the back, let alone what resides within. We might not be aware that a story we told ourselves years before about who we are is still written into our nervous system and musculature, forming our movements and our shape. A woman who has told herself for years that she has to appear intelligent might hold her spine excessively straight, inhibiting spontaneous motion and perhaps emotion. A man who internalized as a child that he was clumsy might walk in such a way that he trips, reinforcing that belief, perhaps unwittingly. Repetitive thoughts don’t simply exit our minds into the atmosphere; they create emotional energy that is stored in the body. How can we rewrite those stories and nullify unhelpful vows, of which we might not even be aware? Using pen and paper to reframe our experiences can be helpful, but so can Awareness Through Movement lessons that disrupt, even in small ways, existing physical habits that are so subtle they exist below our radar. “A fundamental change in the motor basis within any single integration pattern with break up the cohesion of the whole and thereby leave thought and feeling without anchorage in the patterns of their established routines,” Feldenkrais explains in that same book. Our muscles carry our stories, of which we might not be aware. Feldenkrais shared a Tibetan parable to illustrate how the muscles, if left to their own devices, can take us places we might not want to travel anymore. “A man without awareness is like a carriage whose passengers are the desires, with the muscles for horses, while the carriage itself is the skeleton. Awareness is the sleeping coachman. As long as the coachman remains asleep, the carriage will be dragged aimlessly here and there. Each passenger seeks a different destination and the horses pull different ways. But when the coachman is wide awake and holds the rains the horses will pull the carriage and bring every passenger to his proper destination. At the conclusion of Yom Kippur, Jews pray that they will be inscribed in the Book of Life. The more I practice Feldenkrais, the more I’m aware that to be fully in life requires uninscribing chronic patterns that show up as muscular tension. Although I’ve attended Yom Kippur services throughout my life, I’m considering trying something new this year: spending the day at home on my Feldenkrais mat, practicing greater At-One-Ment. Awesome post, Ilona! I was curious about this and about atonement. I really like how you describe it here, especially about un-making vows. I never thought of that. You’re right about our muscles and bodies carrying things around. I’m going to really ponder all of this on my long drive tomorrow. Thank you. Hope you enjoy your day at home practicing at-one-ment. Thank you, Denise! I’d love to know what arises for you as you ponder the un-making of vows. Enjoy being on the road! “At-One-Ment” clever. It could be ‘atonement’ or .’at one moment’. I appreciate the idea of starting with a clean slate. Beautiful Moshe stories. Once again very insightful writing. Thanks for your note, Lori. I can’t claim credit for “At-One-Ment”…and I like your “at one moment”. Indeed, all it takes is a moment!